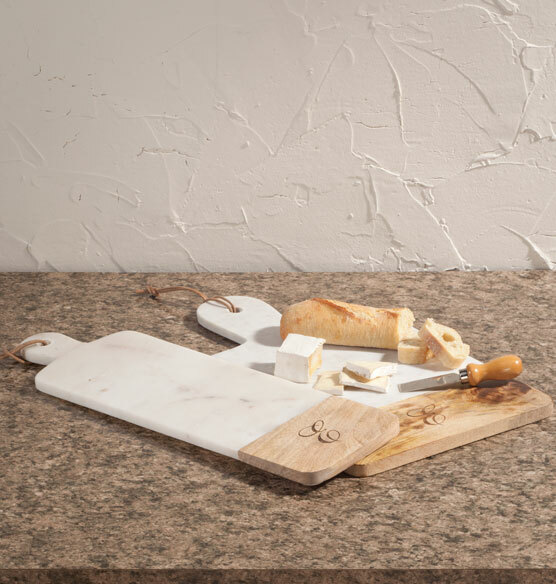 The timeless appeal of marble and the durability of hardwood combine to create this gorgeous personalized marble and wood cutting board. Available in two sizes, the neutral tones make a beautiful addition to any kitchen. Perfect for displaying when not in use. Monogrammed with a single initial, it makes a unique custom gift. Can you engrave a full name? BEST ANSWER: Thank you for your question. It can only be personalized with an initial. We hope this information will be of help to you.